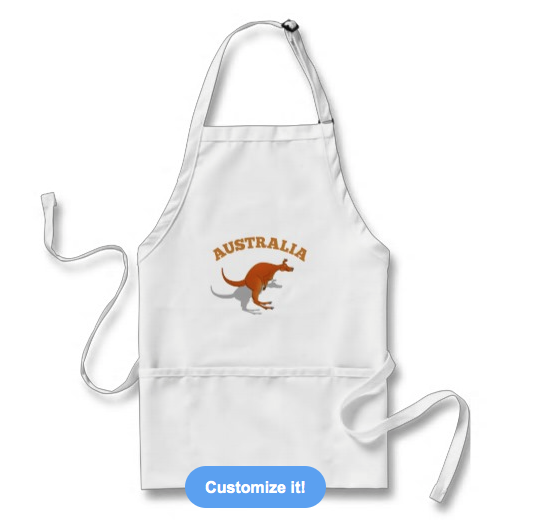 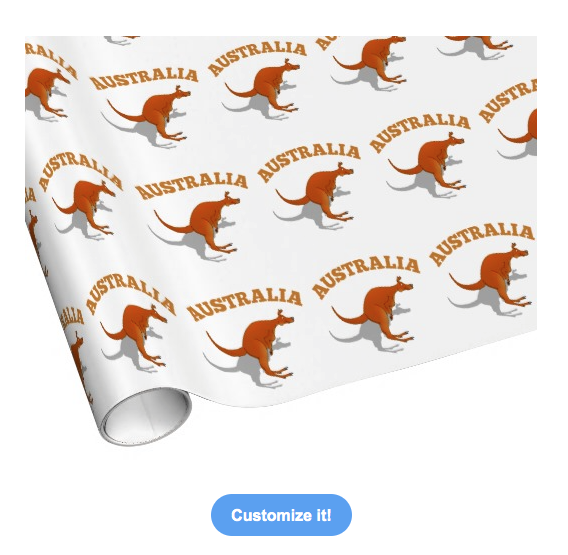 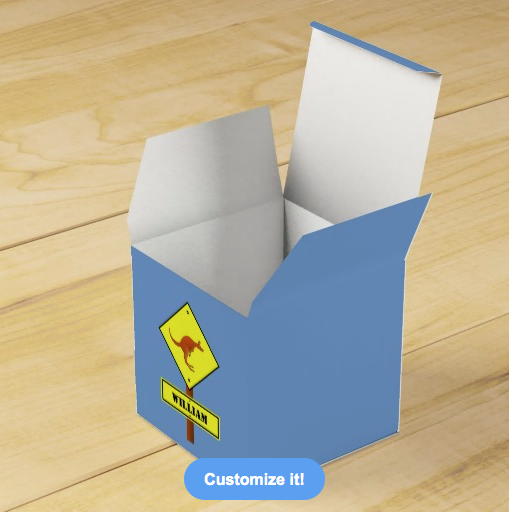 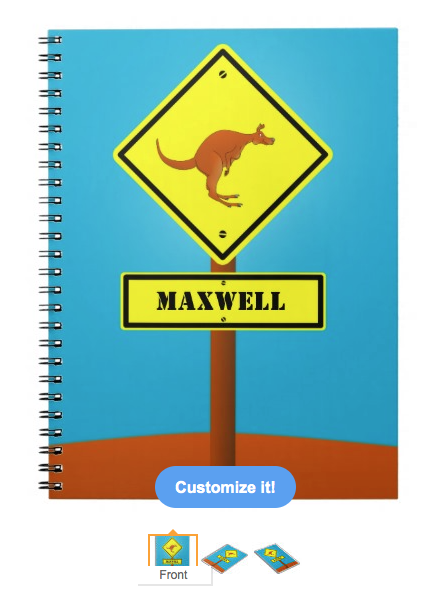 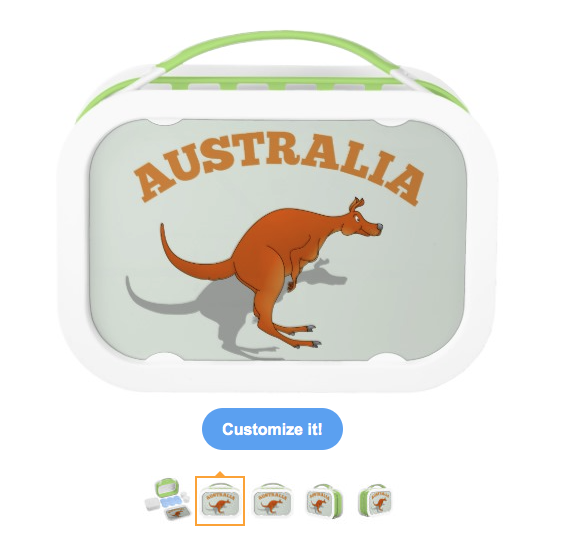 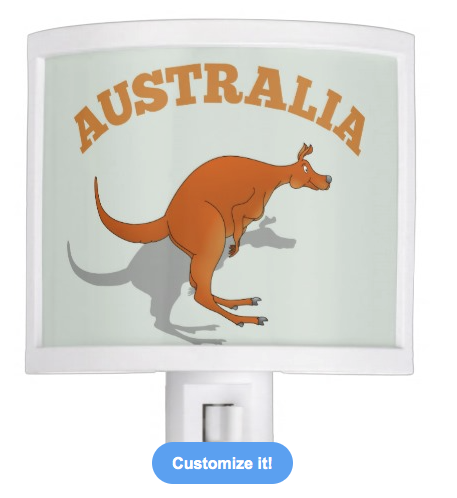 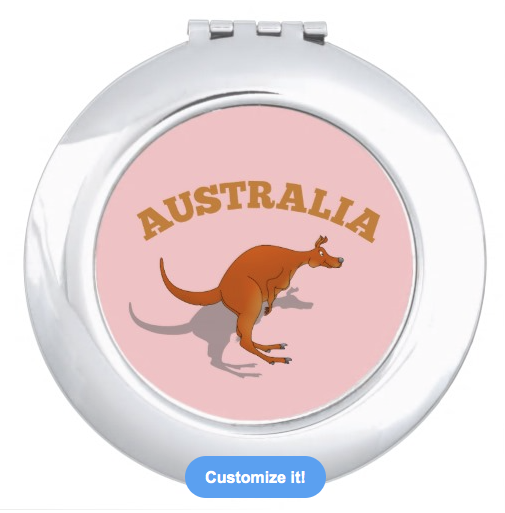 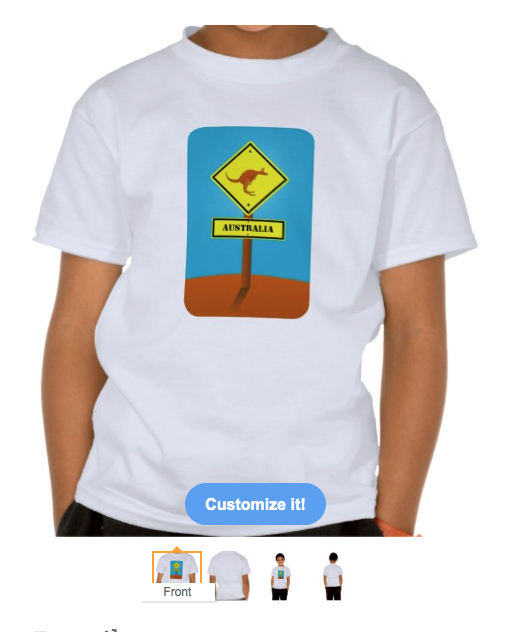 These cartoon Kangroos and many other cute animal designs can be found in my mailboxdisco store. 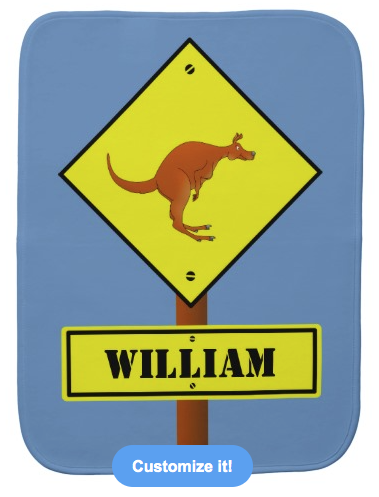 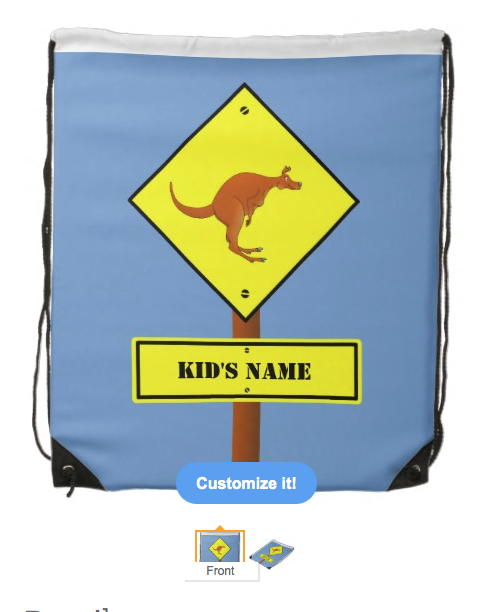 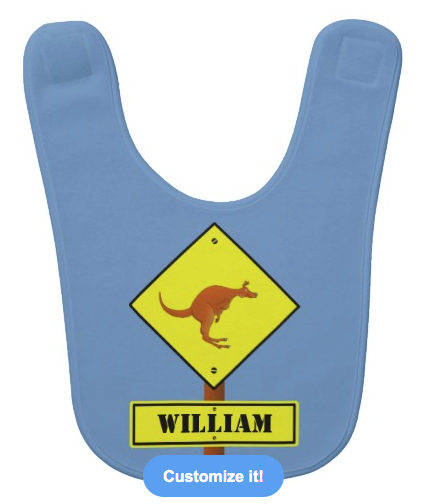 A road sign waring of kangaroo's crossing, the text on the sign can be changed to any child's name or any other word. 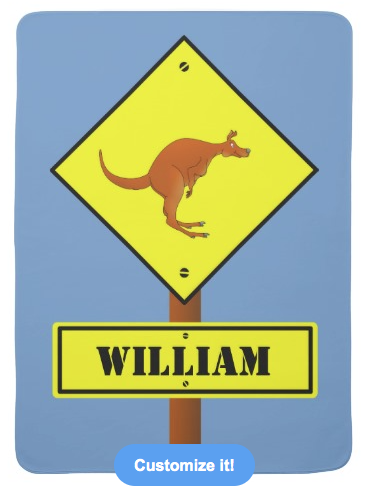 The sign is yellow and is attached to a brown wooden post. 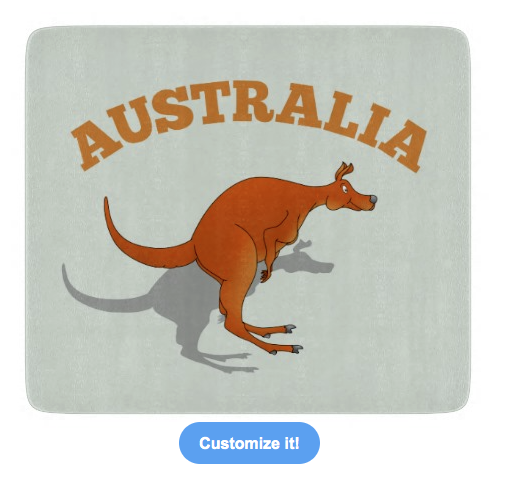 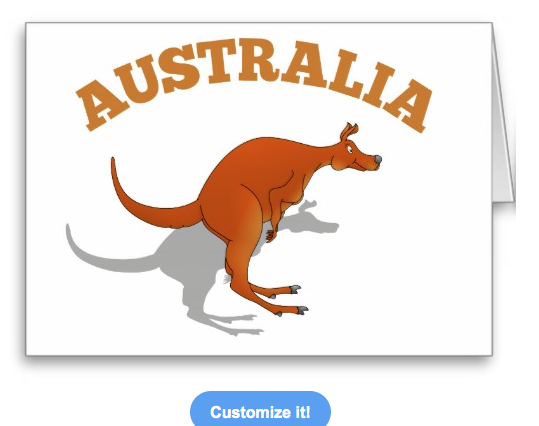 The Kangaroo is drawn cartoon style, mid leap. 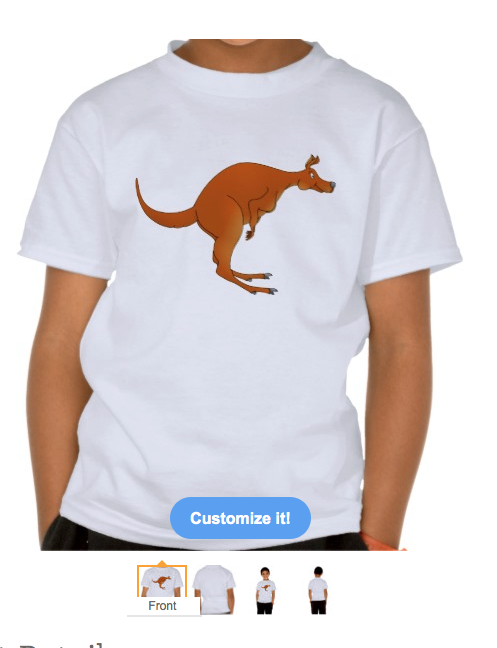 A Kangaroo drawn cartoon style, mid leap. 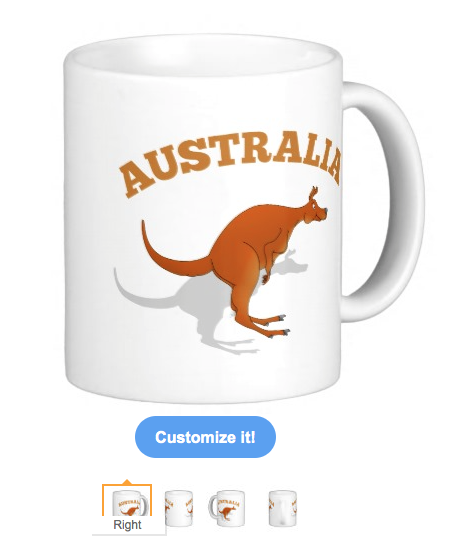 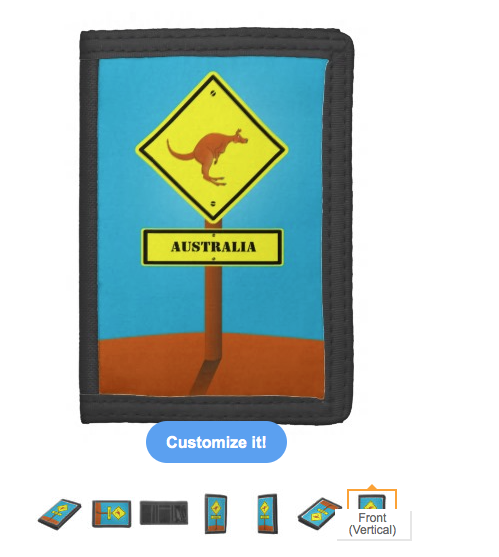 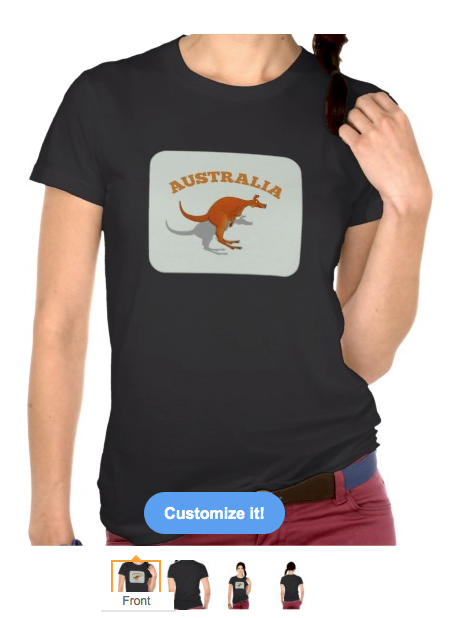 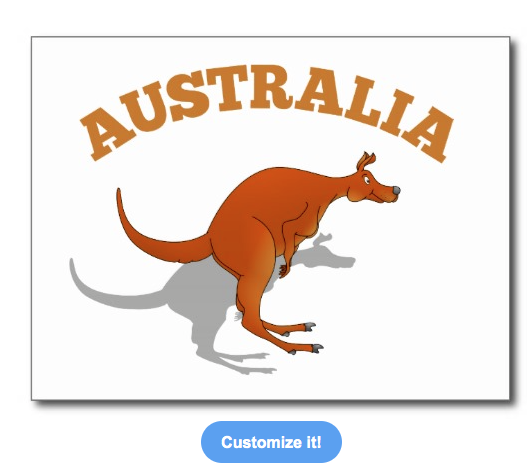 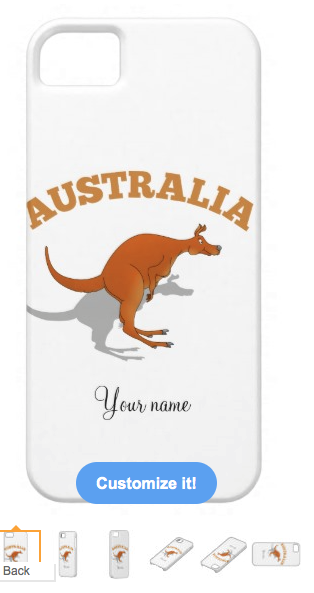 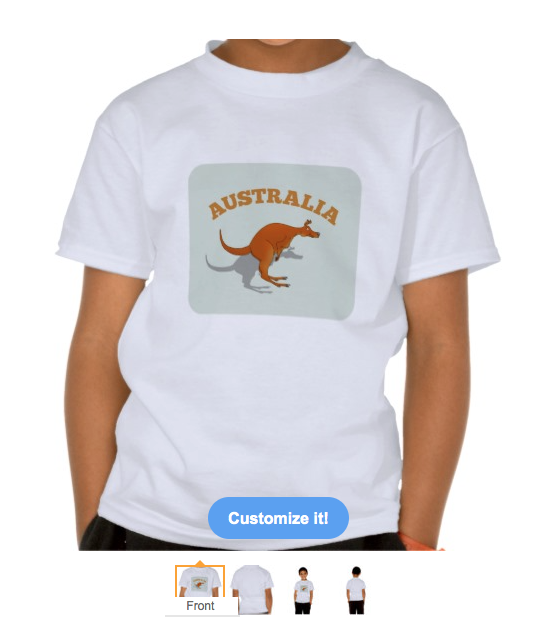 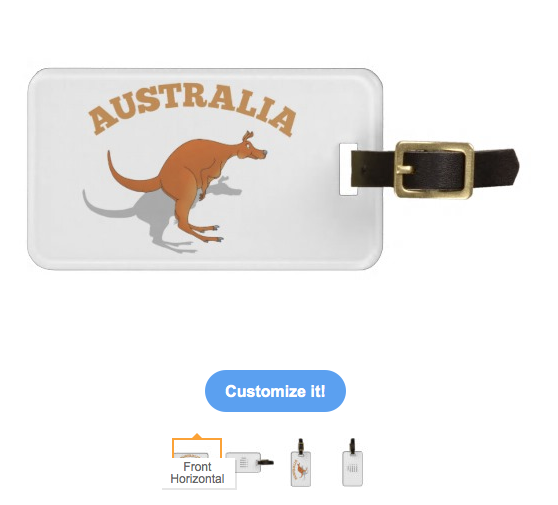 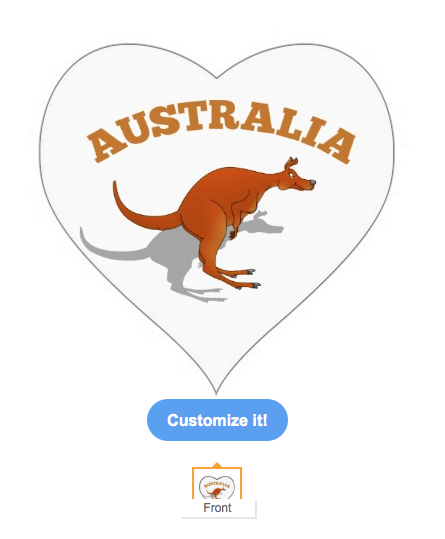 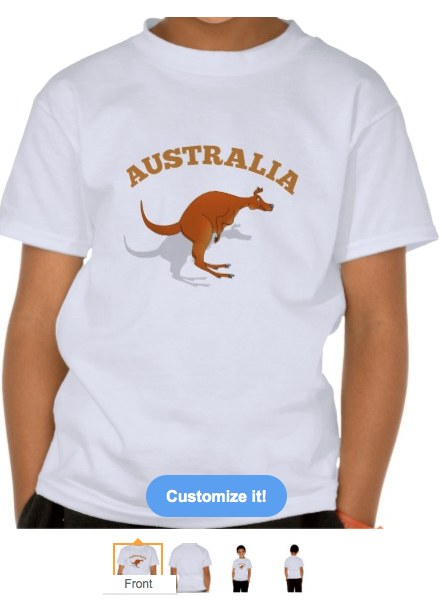 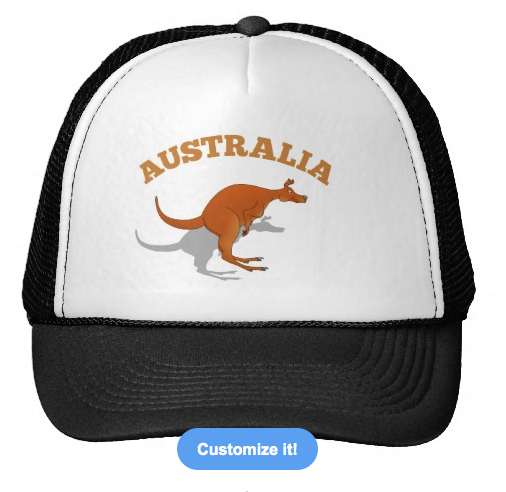 The text reads "Australia"